The Boutique and Lifestyle Lodging Association feature us in their online magazine. The editor Mary Scoviak contacted us because they had heard such wonderful things about our sculptures in Hotel Gotham. The hotel in Manchester (part of the Bespoke Hotel Group) did an incredible amount of press before the opening, using very modern methods such as video content, Instagram, Twitter and characterisations of staff to lure people in to the story of the hotel and it's theme; which is New York in the prohibition era. 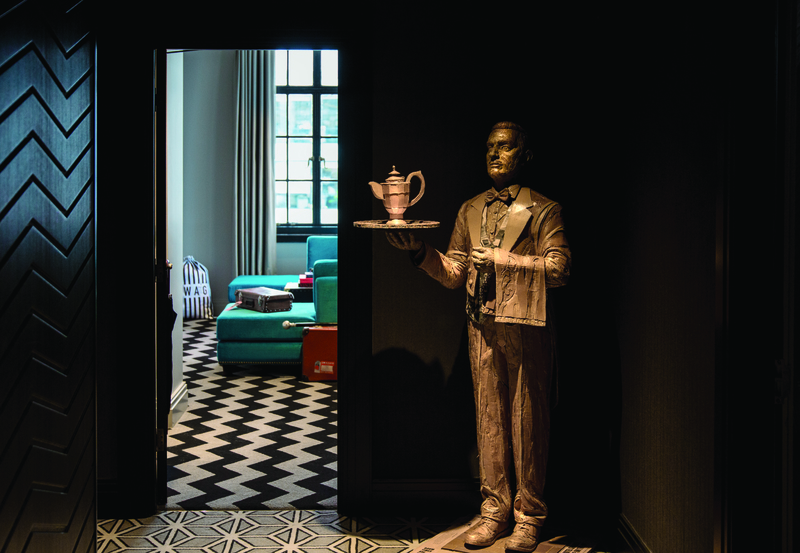 The Sculptures of the Butler and Bellboy have become cult hits on Instagram and Trip Advisor, so we were only to happy to tell the story of how they were made. The feature in BLLA is all about how to use visuals and Instagram to sell your hotel to the public. We were so pleased to be involved.